This has always been a problem for me — I absolutely love buying books faster than I could possibly read them. But the time for that has passed! My life has changed and my spending habits must change too. Why? We bought a flat! We are now homeowners with scary things like a mortgage and no landlord. We are in the process of moving stuff over in suitcases to minimise the ridiculousness of our actual moving day, and I have so many books. Moving progress so far. It is going…well? We’ve also picked our wedding venue and have a wedding date. Time to save some cash so that we can actually have this wedding. So what is a reader to do? Time to tackle that TBR. In the knitting community (yes I am an old lady), there’s this thing called “stash-busting”. Like book lovers buying books and never reading them, knitters have a problem with buying yarn and not using it. Stash-busting is a process that helps you get through your yarn stash with projects of varying sizes that will use up those gorgeous skeins you bought three years ago and are too afraid to use or those annoying little ends from previous projects that are too large to throw out and too small to really use. I’m taking that concept and setting up the Shelf-buster Challenge! Now, this is something I’m fully expecting to do for myself, however if you are also shamed by the number of unread books then feel free to participate too! 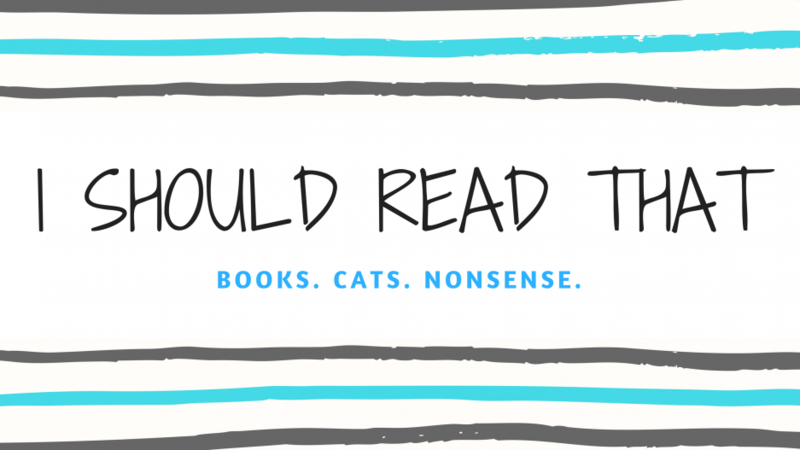 My goal is simple — to actually read down my physical and digital TBR. *Gasp* (I just really like this photo). According to my Insane Book Master Spreadsheet (yes I have one of these, yes it is actually called that), I own just under 400 books and have read 148 of them — this probably isn’t even accurate because I properly updated it in awhile. If my terrible math is right, that means I’ve read right around 37% of the books I own. According to NetGalley, I have 135 books lurking on my Kindle and a review percentage of 30%. Not great, eh? So what are the goals for the Shelf-buster Challenge? Read 60% of the physical books I own by the end of 2018. This includes any books I acquire throughout the year. Get that stupid NetGalley ratio to 80%! Curb the book buying. Only highly anticipated releases, continuations of books in a series I’m reading, and dirt cheap used books are allowed. Keep the Insane Book Master Spreadsheet up to date for accurate numbers! Use the library, online shops, and used bookstores more! Lofty goals? Maybe. But this is something I’d really like to do! I think that trying to transport all of these books to the new flat has shown just how many I own. It is bordering on ridiculous. Also, you know those people/unicorns out there on Twitter who say things like “Yay! I just finished up my TBR! Time to go to the bookshop!” or “Tee hee! I have five books on my TBR, how did this madness happen?” I want to be one on those annoying people. I want others to stare at me in awe and wonder how such a tiny TBR could be possible. I want to feel the smugness that they (probably) feel. On a more serious note, it feels so wasteful to have so many wonderful books that I haven’t read. I was excited about each and every one of them when I bought them. I want to explore each and every one! I know that I’ll be requesting and receiving more and more copies from the publishers, both digital and physical, and the number of books I own will steadily increase anyway. Buying fewer books will really help. I also had issues with my well-controlled anxiety toward the end of last year. Having so many books I had to read for reviews or blog tours coupled with the books I already own, I really felt like I was drowning. Reading and blogging should be fun, but it didn’t really feel like it. I’m planning to do some challenges for myself, monthly TBR themes, and other goodness over the coming year. Again, if anyone would like to join me in this daunting quest, definitely let me know! We can keep each other honest through guilt. Is your TBR out of control? Have love ones staged an intervention about your book buying? Are you banned from your local bookstore because even they think you have a problem? Okay, seriously now. Do you have a strategy for getting through your TBR? Do you want to participate in a challenge like this? Let me know! I have read 5 books this year all of which were on my bedside table. I am determined not to add to said bedside table till I have read most if not all of these books. It takes restraint. But I want to be ready for May when 2000+ books show up when our goods are finally shipped from California to our new house in England. Btw, it helps to not go to book stores while reading down you TBR pile. It is hard to go to a bookstore and walk away empty handed. I obviously did not inherit your willpower. I have to admit that I am SO excited for all our books to show up! We might lose the doggies amongst the piles. It’s amazing how quickly all those books and commitments can take over! Sometimes I feel like the books I bought for myself should be the absolute lowest of priorities. I’m so in for this challenge, my stats are shameful! I’m desperately try to read througb the 70 odd in my room just staring at me! Sometimes if I am having difficulty picking a book, I have someone else pick it for me. I also have done the read 5 buy 1 challenge and that worked for a long time. I got from over 120, I don’t remember the exact number, to about 30 something in both digital and physical format. Over Christmas I scanned all my books onto an app and had 82 unread. Not insanely high, but definitely higher than I want it to be. I have read a good number of those for the first time. Sadly my book intake is such that the unread number is now…. *drumroll* 82! My willpower for book buying is obviously dead :):):) No more buying books til Easter I hope… (hahahahaha). But I am trying to encourage reading the TBR list. I do have my books sorted into read and unread for shaming purposes 😉 and I am forcing myself to read one from my older selection of “boring adult books” (books I have owned for years and from before I discovered YA properly and survived the christmas cull of books I will never read) each month, and at least a couple from the YA section too. Hopefully more! I’d like to get it to around 70 by Easter but I do have a couple more pre orders coming in March… And book boxes… hmmm. Also, I don’t dare count or assess my Kindle ebook status, that would make me sad I feel!